Don't Forget - The Bookstore inside the Library is open every day! Ben Statham and Gerrie Fornek volunteered more than 1000 hours in 2017! Congratulations to Susan Fornek and Bob Moore on both celebrating their 10th year as FOTAL volunteers! Friends of the Alpharetta Library Volunteers donated 5489 hours of their time to the library in 2017. FOTAL has given Alpharetta Elementary a grant to purchase a social studies program to supplement their curriculum in the 2018-2019 school year. The Alpharetta Library is located at 10 Park Plaza Alpharetta, GA 30009 (Google map link). The phone number is 770-740-2425. Friends of the Alpharetta Library (FOTAL) has registered with Kroger's Community Rewards Program. 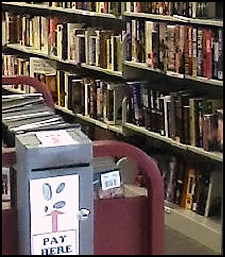 For every dollar you spend at one of their stores, they will contribute dollars to the Friends and Library. 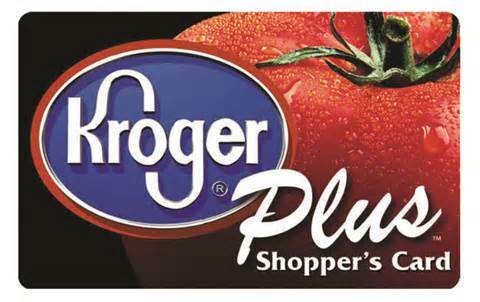 It's FREE to participate using your Kroger Plus Shopper's Card. When the bar code is scanned at the store it will be matched with FOTAL and every quarter Kroger will send us a check for the library! We are in the queue to receive our first check. Although it isn't much, every dollar helps. Obviously, more registered shoppers means more money will be sent to us for the library. Go to Kroger Community Rewards page and create an account to enroll. Once you've registered, you select an organization that will receive Community Rewards for any purchase at Kroger. Select Friends of the Alpharetta Library. It really doesn't take very long, and it's free! All that you will need to do afterward is renew yearly in order to keep contributing to FOTAL. In these budget constricted times, every contribution counts.